Africa’s leading power sector stakeholders will convene in Johannesburg in July for the annual POWER-GEN & DistribuTECH Africa 2017 conference and exhibition. This event, attended by over 3,000 power industry stakeholders, utilities and sub-Saharan government officials, has become the power sector’s key hub for information-sharing. 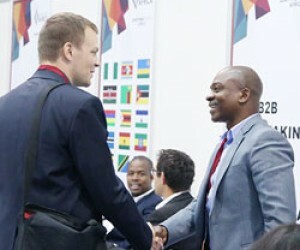 In addition to presenting industry-leading conference tracks, exhibition space showcasing international solutions and extensive networking opportunities, POWER-GEN & DistribuTECH Africa 2017 features a sub-Saharan African VIP programme which brings key buyers from across Africa to the event as part of the SSA VIP Delegation. 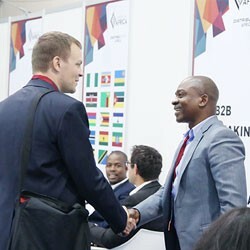 In 2017, 60+ VIPs from Sub-Saharan Africa will attend the event to network with exhibitors and delegates. Exhibitors and delegates also benefit from a free B2B Matchmaking service which will pre-organise meetings with key industry decision makers based on each business’s marketing objectives. In 2016, over 259 meetings took place as part of the B2B matchmaking service and 80% of attendees said the service was successful in meeting their objectives. POWER-GEN & DistribuTECH Africa 2017 has also been awarded a pre-validation by the South African Institute of Electrical Engineers (SAIEE) of 2.5 CPD credits, while SAIEE members also qualify for a discount of up to 40% off conference delegate tickets, making this a ‘must attend’ event for engineers working in this sector. POWER-GEN & DistribuTECH Africa 2017 will be held at the Sandton Convention Centre from 18 – 20 July. To secure your presence at POWER-GEN & DistribuTECH Africa 2017, visit http://www.powergenafrica.com/event-information/ssavip.html for information.